Moose and Squirrel not here, Fearless Spammer! yep, we do know so little about natural climate variations, we know almost nothing about the so called stochastic climate variations without any external forcing. For non political influenced climatology it is very certain, that most oft the 20th century warming could be to natural climate oscillations. The recent climate populism, the mainstream, the energy questions and the big business are the drivers of climate alarmism. The Dieng et al. paper is about ocean surface temperatures. During this period there was substantial accumulation of heat in the 0-700 m layer and nearly 40% of heat accumulated in the 700-2000 m layer. The Dieng e al. 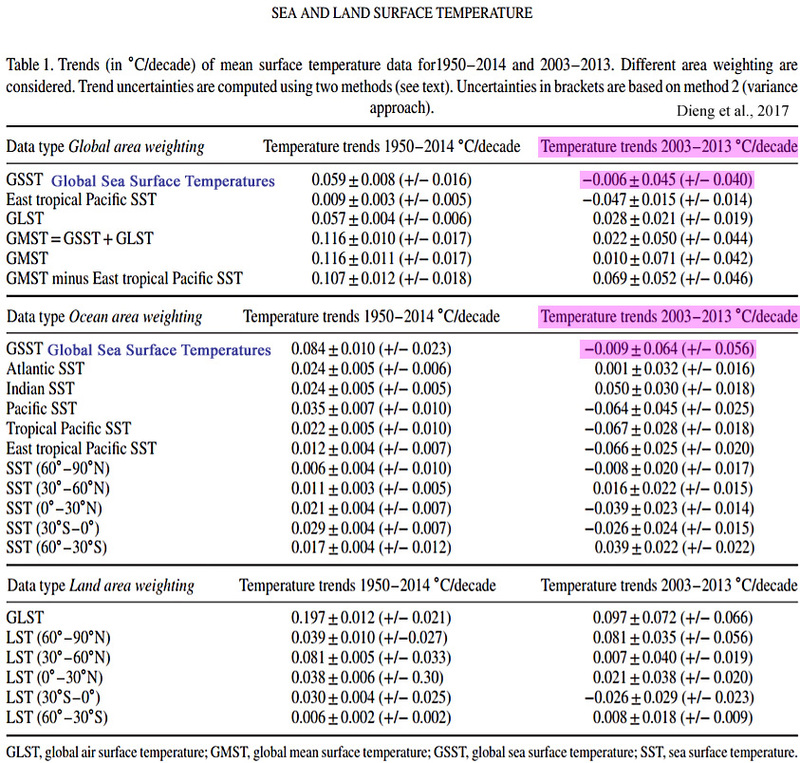 paper is only about surface temperatures that are measured with satellites. It clearly does not dispute the fact that 90% of warming is going into oceans. Trenberth’s “missing heat” blob theory. I am not sure about the definition of “abyss”. Is it below 2,000 m or deeper? In any case, it takes a long time to mix warming waters that deep. The top 2,000 m represents a tremendous volume of water and even small fractions of a degree are great amounts of heat. In short, short wave radiation from the sun can reach 0-700m. Ambient air heat can only penetrate first few mm. 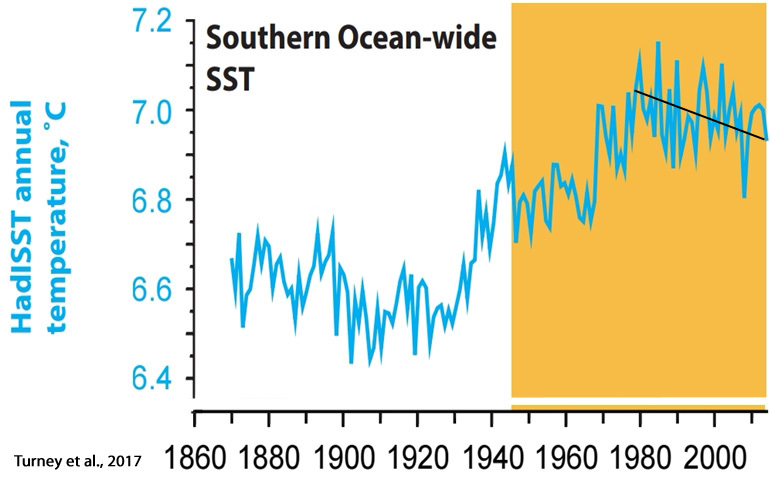 So again, the sun does the heavy lifting of ocean warming/cooling.